Add a modern touch to your kitchen sink with this Alpine Square Kitchen Mixer. Presenting stunning bold looks, this kitchen mixer features an elegant geometric design, which allows for easy operation. 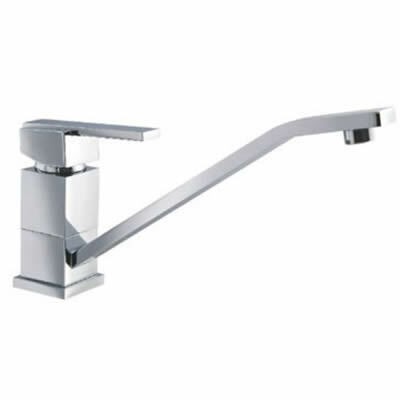 The ergonomic design and solid lever also offer great convenience. This kitchen mixer has been cleverly designed to fit any kitchen sink and can be easily installed in a matter of minutes. Offering high-quality at a budget price, the Alpine Square Kitchen Mixer is manufactured to the highest of standards of quality. Its solid brass construction makes it highly durable, while its elegant chrome finish offers stylish looks. The mixer is equipped with a high-grade ceramic disc cartridge, which makes controlling water flow and temperature incredibly precise. The Alpine Square Kitchen Mixer has a 4 stars WELS rating and a water consumption rating of 6.5 litres per minute. 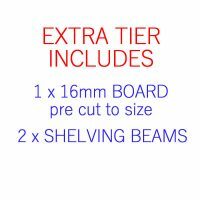 Alpine backs this product with solid guarantees – a 5 year guarantee on the body, a 2 year guarantee on the cartridge and a 1 year guarantee on the finish. This just strengthens the quality of this tapware. The Alpine Square Kitchen Mixer is an excellent addition to your kitchen. For the best possible price, purchase this kitchen mixer only from Ross’s Discount Home Centre.